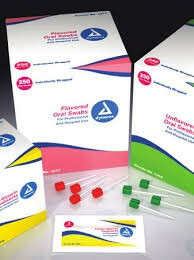 Dynarex Oral Swabsticks are designed to moisten, refresh, and gently clean the patient’s gums, mouth, and teeth. 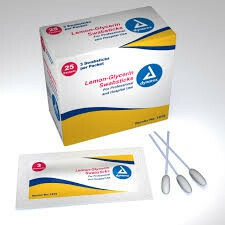 Dynarex Lemon Glycerin Swabsticks have a pleasant tasting citrus solution that reduces dryness within the mouth for patients with restricted oral intake. Each swab is individually wrapped and features raised foam ridges that provide enhanced oral hygiene by removing particles and mucous. 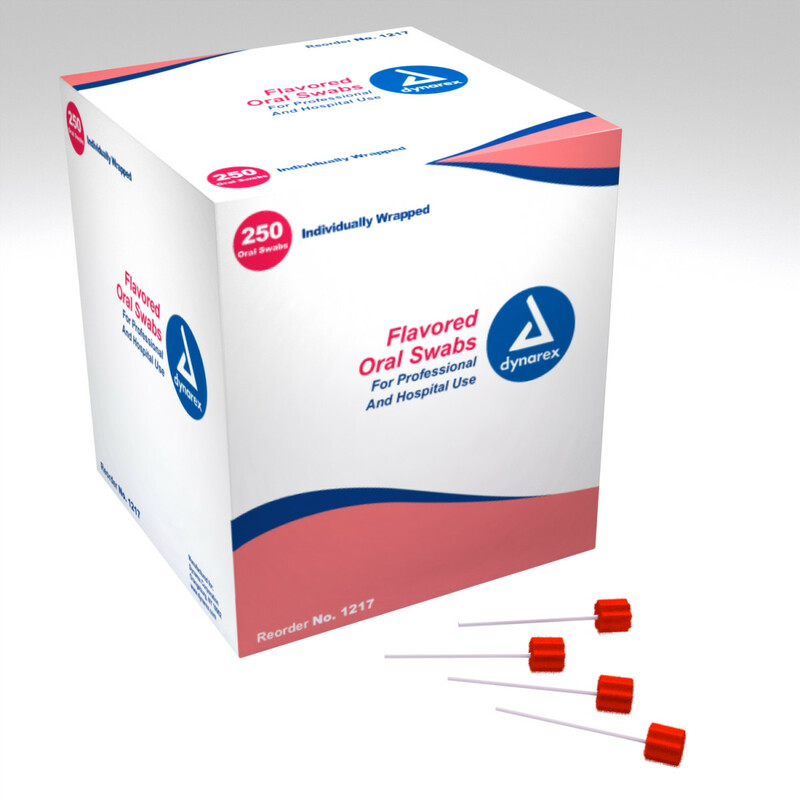 The Dynarex 1217 Oral Swabsticks feature dentrifice, which is a paste or powder used to clean and polish natural teeth. It is formulated to address problems associated with xerostomia, such as dry mouth or absent saliva flow. Dentrifice helps soothe and protect dry tissue within the mouth. Unlike the other two swab sticks, the Dynarex 1218 Swabsticks are unflavored, yet they still contain an effective and pleasant cleaning formula. 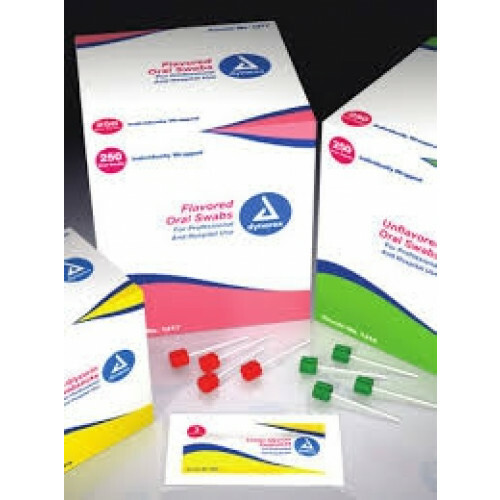 Oral Swabs are not the only product available designed to treat dry mouth. Others include Biotene Mouth Moisturizer, Oralbalance Dry Mouth Moisturizing Gel, and Oracoat XyliMelts Dry Mouth Tablets.